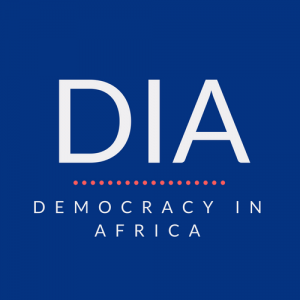 DiA’s co-editor Obert Hodzi turns a critical eye on the recent trips to Africa by the British Prime Minister Theresa May and Melania Trump, the first lady of the United States. Both visits, he argues, reflect the ongoing failure of Western governments to protect nascent opposition movements and defend democracy. Last month, Theresa May headed to Africa in a thinly veiled attempt to broadcast power, claiming that post Brexit the United Kingdom would be able to match superpowers such as China and the United States in terms of their political and economic imprint. Melania Trump has been making headlines on her first Africa trip for highlighting the ways in which US foreign aid is helping children in the developing world while “dressed like an Indiana Jones villain.” More importantly, neither trip was sincere. May’s government has presided over an institutionally racist immigration policy that has hurt UK-Africa relations by stopping successful academics and business people from entering the country. Melania Trump’s husband plans to slash foreign aid and put “America first”. And neither trip paid any attention to concerns about democracy or human rights. Once again Africa was treated as first and foremost a plaything – an empty canvas against which European and North American dignitaries could play out their fantasies and hold their photo shoots. The actions of Western leaders are not surprising, but they are significant. Africa stands at a crossroads. After nearly thirty years of multiparty elections, demand for greater democracy and political change is on the rise. Young politicians and urban populations are at the forefront of that wave. But, beyond making headlines and worrying those in charge of the status quo, demands for reform have so far led to relatively few opposition victories. Blessed with access to state resources and backed by strong militaries and security services able to quash dissent, leaders such as Paul Kagame, Yoweri Museveni and Emmerson Mnangagwa remain firmly in power. The generational struggle to that is currently breaking out in many countries is therefore likely to be prolonged. Young leaders such as Bobi Wine lack the finance necessary to support their own struggle for democracy. Any politician in Africa can confirm that financial and material resources shape their ability to secure power. In many parts of the continent citizens demand that politicians fund funerals, pay school fees, buy alcohol or provide incentives for them to attend their rallies and vote for them. For the old politicians already in power, access to state resources enable them to meet those demands. The result, is that youth movements often become co-opted unless they secure some form of external support. In the 1990s, the United States and the United Kingdom provided considerable support to the continent’s nascent democratic movements. This came first in efforts to force multiparty elections, and later in the form of funding to independent media and active citizenry. Such support was often inconsistent and at times blended with self-interest, but it was real. And because it was there, the liberal democratic model that they espoused came to be seen as the ideal regime type by the continent’s opposition leaders– if only for a short time. Today, this lifeline is under attack. Trump has attempted to reduce the USAID budget and questioned why the US should be concerned with the politics in non-strategic countries. Moreover, through his admiration of Putin’s strongman politics, populist statements, attacks on the media and hostility to his own democratic institutions, he has sent a clear message to African leaders: authoritarianism is not a barrier to US support, and democracy does not guarantee it. The United Kingdom’s focus on the impact of BREXIT on its economic and trade interests and geopolitical influence also means that democracy promotion is not a priority on the other side of the pond. In addition, the rise of populist and authoritarian governments in European countries such as Hungary has diverted the attention of European leaders from the rest of the world. The preoccupation of much of the European press with the migrant crisis has turned minds and policies towards Africa, but has had the effect of encouraging Western powers to focus on promoting security and stability rather than political rights and civil liberties. 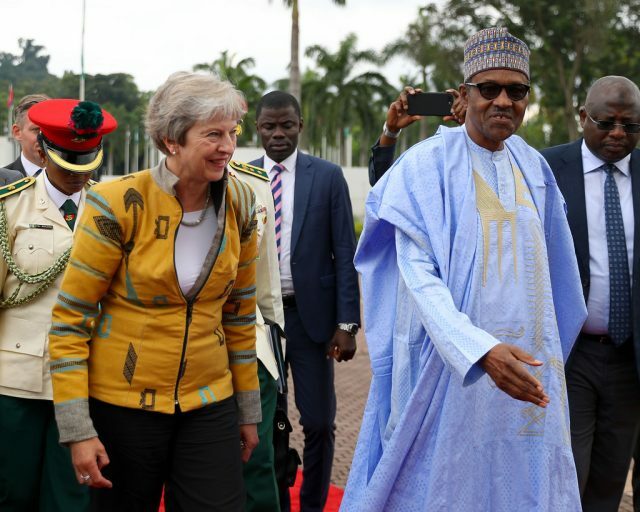 Theresa May’s visit to South Africa, Kenya and Nigeria is closely tied to UK’s concern with the economic and geopolitical effects of BREXIT. Justifying why she chose those three countries, May described them as ‘key partners… with thriving democracies, strong international ties… and fast changing economies, they are typical of 21st century Africa. An Africa very different to the stereotypes that dominated previous centuries, and that some people still believe even today.’ Leaving aside South Africa, it is hard to see how Kenya and Nigeria can be described as ‘thriving democracies’. In many respects the two countries fit the description of how corruption and the abuse of state institutions and resources enable incumbent leaders to stay in power. In reality, of course, the motive for visiting the three countries had nothing to do with democracy or any genuine desire to form mutually beneficial transnational partnerships and everything to do with their economic clout. These three states represent UK’s biggest trading partners and have the potential to provide UK businesses with extensive opportunities and large markets. Being the getaways to Southern Africa, Eastern Africa and West Africa, South Africa, Kenya and Nigeria are the partners the UK needs to achieve its ambition ‘to be the G7’s number one investor in Africa’. Despite his reputation as a businessman, Donald Trump’s foreign policy in Africa has so far eschewed such economic priorities to focus on security and anti-terrorism concerns. Support for building and consolidating democracy has not been on the agenda for obvious reasons – Trump himself has little sympathy for key tenets of liberal democracy, especially a free press. In this context, it was perhaps inevitable that Melania Trump focused on her work with children through the ‘Be Best’ initiative during her visits to Ghana, Malawi, Kenya and Egypt. But it is nonetheless galling to see Western leaders talking about the need to improve the welfare of children while ignoring the corruption and abuse of power that creates the conditions for child mortality and malnutrition. Theresa May and Melania Trump’s visits to Africa do not represent the beginning of a trend but rather the culmination. The last decade has seen a global shift towards pragmatism, a move from “aid” to “trade” and a refusal to take risks in order to support democracy. This process is set to continue apace with the news that Penny Mordant, the UK’s international development secretary, the definition of aid would be changed to include profits made by CDC, the private equity arm of the Department for International Development. Such a change would effectively enable the government to nominally keep its pledge to spend 0.7% of GDP on foreign aid while actually diverting resources into providing subsidies to private firms. The longer this trend continues, the harder it will become for the leaders of the current democratic awakening in countries such as Zimbabwe, Cameroon, the Democratic Republic of Congo, Uganda and Nigeria to secure support from the international community – especially in the context of the rising influence of China, Iran, Saudi Arabia, Turkey, and Russia. The callous disregard of the international community the fate of the opposition is already clear. The torture of Bobi Wine by Ugandan police and security services did not fundamentally change American policy towards that country. Similarly, the UK and US have done remarkably little to intervene in Cameroon – despite the fact that extra-judicial killings perpetrated by the Paul Biya government continue to target English-speaking citizens. Africa’s Big Men are well aware of the change that has taken place over the last decade – and that it means that human rights abuses are unlikely be punished. Figures like Biya, Kagame and Museveni also realize that the competition for markets and resources between the West and China increases their leverage, enabling them to play these powers against each other – just as their predecessors did during the Cold War. Emboldened, the continent’s “presidents for life” are unlikely to be willing to compromise any time soon. As a result, if Africa’s opposition parties are to be successful they will have to do it the hard way – through mass political mobilization, and on their own. Obert Hodzi is co-editor of DiA and a postdoctoral researcher at the University of Helsinki. What a great blogpost! I particularly like your concluding paragraph. Indeed, I have said as much in my blogpost, “Bah! Humbug! Only a sissy is fit to be a servant leader!” The blogpost is addressed to Bobi Wine of Uganda.